Location is away from the noise of the main road with a waterfront view over the river. Short bike ride to Cudai Beach. The area around has a village atmosphere. Staff very helpful and friendly. Hoi An is amazing, and the stay in this little villas is pleasant. 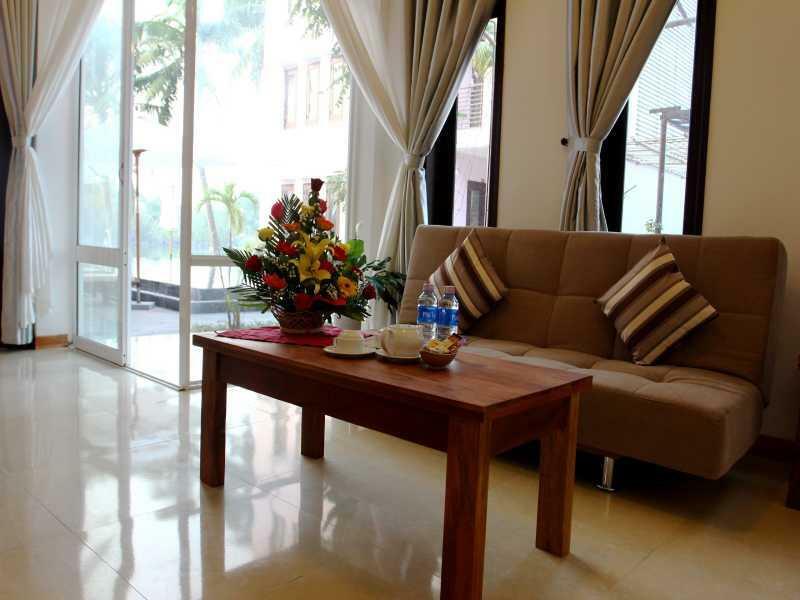 We had a pleasant stay at Riverside Garden Villas. The property looks nice as you can see in the pictures. The breakfast is also very good and the manager is helpful if you got questions. The rooms are spacious and have a lot of windows, although our room (deluxe double room with balcony) has seen better times. The one thing that really annoyed us was the bathroom. Really bad smell, there must be some problem with the sinks, the shower head didn't work properly, no shower curtains so every time we showered the bathroom was practically under water. All in all, value for money is very well tho. Firstly, the staff were helpful and friendly. Secondly the pool area is so lovely and thirdly the location. You take a five minute cab into town, but it's just slightly out of the hustle of town. Riverside Garden Villas is a must. Staff are amazing- so warm, friendly and helpful. The rooms are comfortable and the pool is divine. Great value for money. Wonderful! 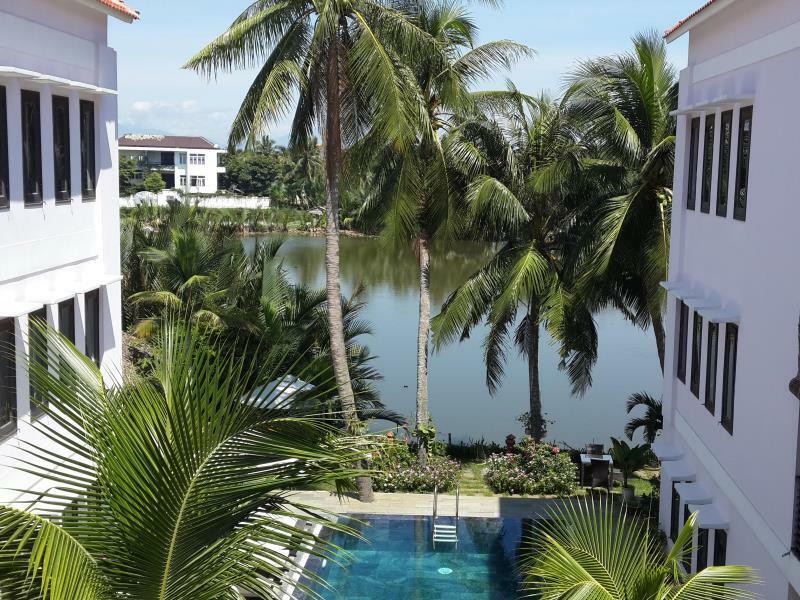 Spacious villas in an absolutely beautiful setting right on the river. Quiet and peaceful! The breakfast is simple and delicious. Our shower/bath leaked a little but that was a minor thing and didn't really bother us. Definitely recommend! Beautiful infinity pool with a fantastic view of the river! Amazing, super helpful staff! Delicious breakfast! We got a room with doors that opened up to the river and it was just gorgerous to sit there at sunset. The room was great, good standard in bathroom altough we didn't have a separate showers. The beds weren't as rock hard as the beds usually are in Vietnam so our backs were happy. The location of hotel is perfect, just a bikeride to ocean and a bikeride to old Hoi in town via some countryside. Bikes were free to borrow from hotel. the staff were friendy and the man in reception was very helpful plus spoke good english. Booked a car for us to go to My Son which was perfect. Breakfast wasn't that wide of an offer, but just right with fruit, yogurt, omelette, bread and a cup of tea or coffee. I can really recommend this hotel! I stayed for 5 nights in early August and, overall, I loved my stay. First impressions were amazing - the apartment design, the decor, the stunning view, the pool, the elegant bathrobes; beautiful. Breakfast too was fresh, tasty and elegantly presented. It is on closer inspection that I was disappointed in some areas. Having paid $90 a night, I really expected a better service than that offered; $90 a night is a 5* price in Vietnam but unfortunately the service was not 5*. First of all, the shower attachment in the bathtub was faulty and, while the shower was usable, water spurted out each time it was used; all over the bathroom floor, hence, I ended up with a mini-pool in my bathroom each time I showered. Another small thing, but which makes a difference to a $90 / night hotel is that, one day I came back to find that, obviously while the room was being cleaned, the toilet roll holder had come away from the wall. It was left on the floor under the basin, and was still there on the day I checked out! Additionally, the French windows in the living room did not close properly; each time I opened them I had to ask one of the male members of staff to close them for me as they were too difficult to close. The bolts on them were pretty difficult to open too. Finally, on arrival there was soap and shampoo in the bathroom but no hair conditioner, shower / bath gel, or body lotion; these are expectations when paying $90 / night. Furthermore the shampoo was not replaced during my 5 night stay, so when the small bottle was empty I had to use my own shampoo as well as other toiletries. 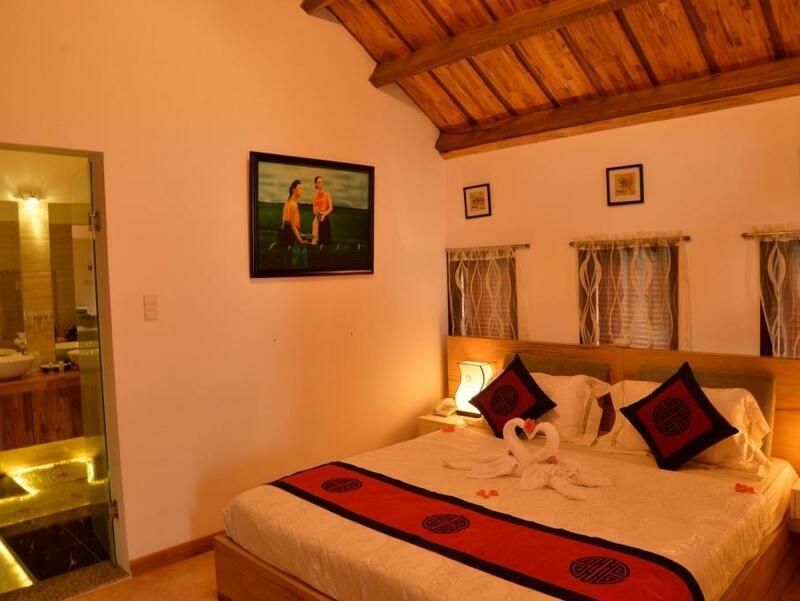 A stunning setting with simple but comfortable rooms and an attentive staff. A great stay. I live in Hanoi and go to Hoi An semi-frequently. Location is a key consideration depending on what you want to do with your stay. Riverside is 3k from Ancient Town and 1k from the beach. They provide a shuttle and free bikes to get around. The benefit of being between things is beauty and silence. The pool and setting are fantastic here. The staff were extremely helpful but unobtrusive. The rooms were simple (apartment style) very spacious and comfortable. We had a lovely 3rd floor room with a balcony overlooking the river. Great place for a glass of wine and sunset. Would stay again. We had a great time enjoyed the fact that this hotel was in the countryside which made it nice and quite. Management and staff were great, very friendly and nothing was too much trouble! Hope we can return soon! 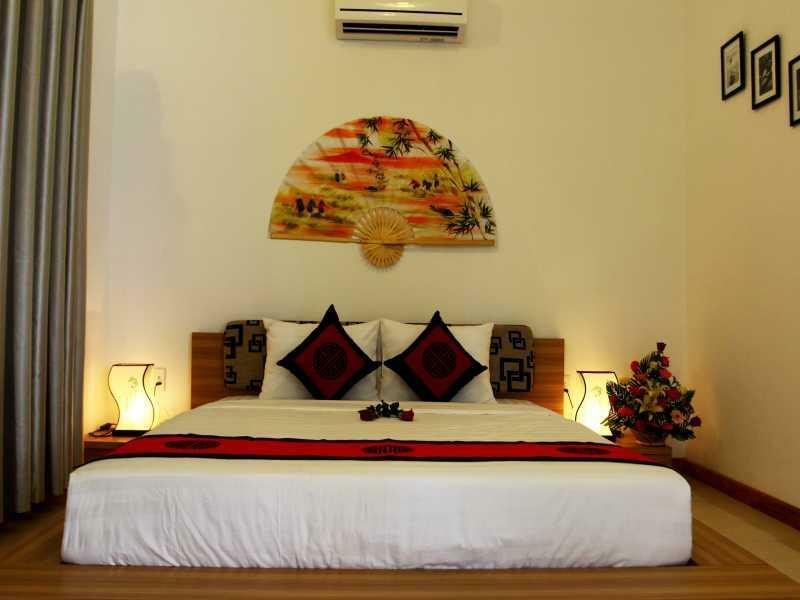 I stayed here for three days in Hoi An. First impressions were good, with an efficient pick-up from the station, a good welcome and a very pretty hotel next to a stunning part of the river. Our room was very large on the ground floor next to the pool with doors out to the river. It had a living area, a bathroom and bedroom. The breakfast had some of the best bread I've had in Vietnam. There were some irritations however: 1. The bathroom: was very impractical, with a small roll-top bath that you can't lie in and that you have to crouch in to shower as there are no shower curtains 2. Pest problems: we had a constant stream of ants into the bedroom and a fairly large spider. Potentially could do with a spray and sealing up some gaps 3. The hotel was pretty much empty and as a result, felt a bit lacking in atmosphere 4. They have a shuttle into town at prescribed times. They were never there on time and I think ordered especially for us. Kind of helpful but I would have liked them to just offer them when I wanted them rather than make me stick to their random schedule. We loved our stay so much we stayed longer than we intended, the staff was great and helped with everything, the rooms were beautiful , big and private and the surroundings where well taken care of and they had a nice pool. We would definitely book this hotel again. It is a bit out of the old town, but there are shuttles a few times a day and you can cycle into town. Cycling around hoi an is lovely but unfortunately the bicycles are not in very good condition. The rooms are large and clean but don't have much character. The real attraction of the hotel is the infinity pool overlooking the river with beautiful sunsets.